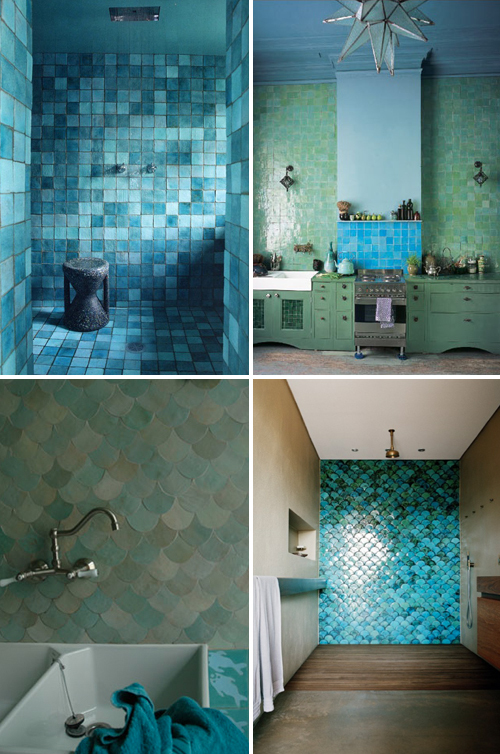 I love the colorful tiles used in countries such a Morocco and Turkey. They come in a variety is colors, shapes and patterns and I will be displaying a few in a series of posts starting today. The blue and green shades are my favorites but the small zelliges are available in many colors (see last image). 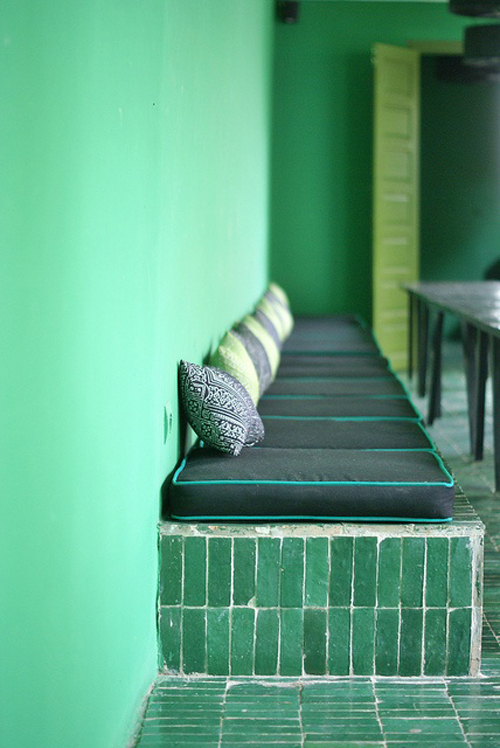 Emerie & Cie, with shops in Belgium, France and the UK, has a large collection of Moroccan tiles. erfectly in a country home, with a handmade touch. I agree! The blues & greens are my favorites, too. 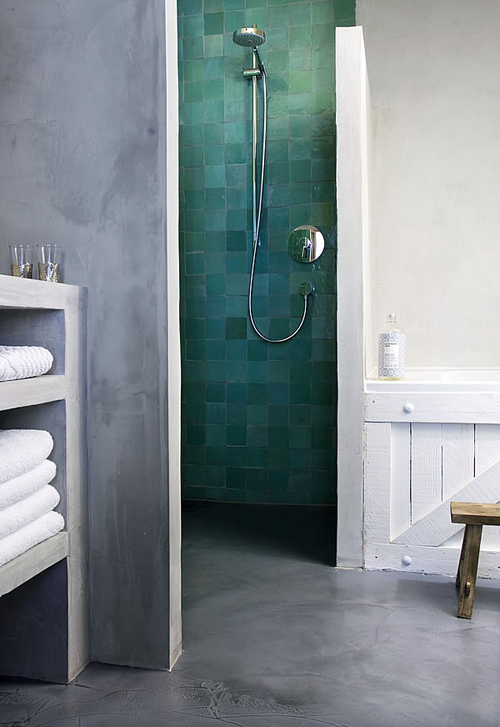 I think that tiles are beautiful! So stylish! Love those colors! Ooh la la! 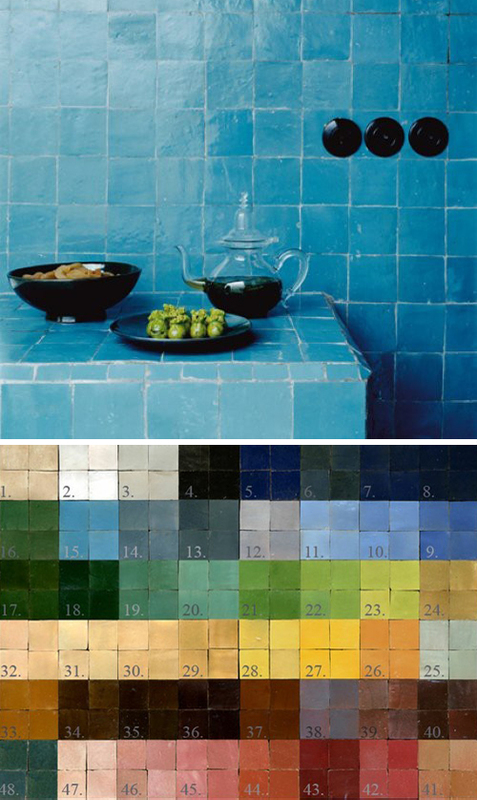 I especially love the second to last picture–that blue seems like it would be such an amazing, relaxing color for pretty much any room. Wow…how much I love these colors! !